Homeowner relocating back to USA. This beautiful enchanting 300sqm hot springs private residence home situated in the foothill of Mt. 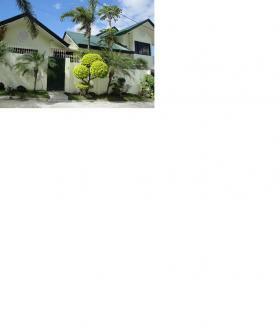 Makiling and located in the heart of Famous Pansol Laguna Resorts. Perfect for family retreat house or private pool rental. Tile thru out the house and sides (laundry area). Has own water meter from calamba water and electric Meralco meter. Interested buyer please contacts number (02) 856-7113 / (049)834-6051 US no. 954-495-4833 Cel # 09296615244 or email for more info.